The U.S. Treasury has always been a place where people could find something green, but this time the term is not referring to money. The U.S. Treasury building has obtained a green environmental designation, probably the oldest federal building to earn one. It has reduced its operating costs by $3.5 million annually as a result. If the Treasury, built in 1836, can go green and utilize smarter systems management, then most of the rest of government should be relatively easy, according to experts in the field. All it takes is a little ingenuity, a great deal of effort and the desire to make the switch. And a presidential executive order helps too. President Barack Obama initiated the federal leadership order in late 2009, calling on government agencies to lead the way on sustainability, partially as a way to manage systems more effectively and less expensively. Since then, agencies, departments and facilities have found innovative ways to save energy and money, ranging from state-of-the-art data-processing centers, wind farms to generate electricity for government buildings, retrofitted courthouses like the historic building in New Orleans, new construction built with an eye to sustainability and, in the case of the Treasury Building, the use of natural light and state-of-the-art heating and air conditioning systems to save energy. These efforts led to a 43 percent decrease in the use of drinkable water, a 7 percent decrease in electricity use, a 53 percent decrease in the use of steam, and the addition of 164 work stations in the building to provide more efficient use of space. 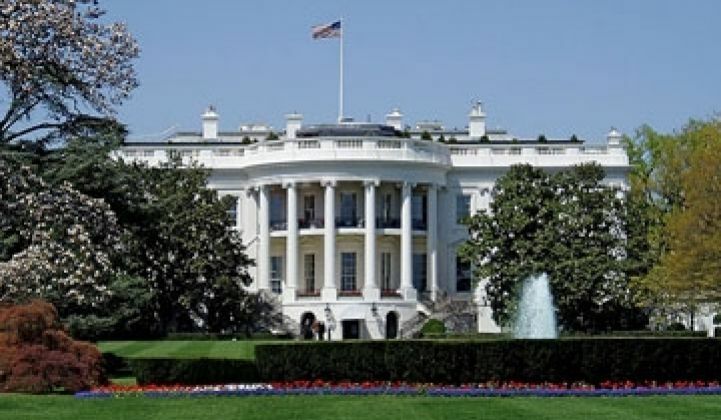 According to Jason Hartke, VP of national policy for the U.S. Green Building Council, the federal government (including the military) oversees approximately half a million buildings, and spends $7 billion a year in energy costs for those buildings. 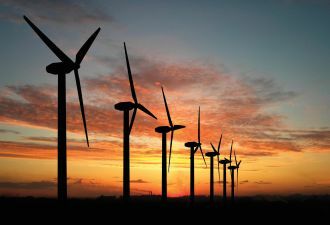 "Clearly, improving energy and resource efficiency represents an enormous opportunity to save taxpayers money and promote the uptake of cost-effective clean energy technologies and practices, " he said in a White House blog post late last year. Treasury is leading the way, and there are many ideas that other agencies can take from this effort to maximize cost savings from environmental modifications, according to Lane Burt, policy director of the Government Green Council, which hands out the LEED certifications and which gave Treasury its "gold" LEED medal. "They are leading by example," Burt said. "What they do is incredibly important and progressive because the building is already built. Everything they did was shown to improve their efficiency. They cut their energy and water bill by $3.5 million a year." The GSA has a sustainable facilities tool (www.SFTool.gov) that helps agencies meet sustainability needs. The tool can compare options for renovation projects to see which one is the most energy- and cost-efficient. "Sustainability is best thought of as a process, rather than a thing," said Kevin Kampschroer, Director of the Office of High-Performing Green Buildings, in announcing upgrades to the tool. According to Kampschroer, agencies can purchase green building materials directly from the site. There also is a mobile app called SF Mobile available on Apple, Android and Blackberry platforms. Burt said retrofitting an existing building is more difficult than building a structure from the ground up, because "the thing is built; you're not moving the walls." But, ironically, older buildings often were constructed "smartly. There are a lot of passive features built into them so they can be comfortable," he said, like orienting the windows toward the sun or having windows that open to take advantage of natural heating and cooling. Constructing a new building with an eye toward greening also has become important in federal construction. The GSA recently did a study of twenty-two green federal buildings, measuring their sustainability efforts and cost savings. Among them, the U.S. Census Bureau building in Suitland, built in 2006, got a gold LEED award for, among other things, the "curved shape" of the building, which takes advantage of natural daylight, an under-floor air distribution system, vegetative roofs and bioswales for drainage of water away from the building. The study of the twenty-two buildings showed that in every aspect, going green has been an advantage. The report showed that on average, the "sustainably designed buildings in the study outperformed U.S. commercial buildings" in terms of energy use. The report urged further efforts toward sustainability. "The results of the study confirmed that, on average, GSA's sustainably designed buildings use less energy and water, emit less CO2, cost less to maintain, and have occupants who are more satisfied than those working in typical buildings," the study said. "In short, the GSA's 12-year commitment to green building practices is paying off." In the report, the GSA noted that it's more than money that is saved by incorporating sustainability and systems management into buildings -- worker satisfaction is up too. It also said that, on average, the buildings studied were scored 76 percent higher by occupants in terms of satisfaction than the average for U.S. commercial buildings. "The greater the satisfaction, the higher the productivity and creativity of an organization," the report said. The massive computing and data storage needs of the government provide ample opportunities for smarter systems management and cost savings. The Census Bureau's Bowie Computer Center has earned multiple awards for its efficient use of passive energy savings techniques and other innovations. The center, located in suburban Maryland, features programmable lighting, reflective glass to reduce demand for air conditioning in the summer, and variable frequency drives on mechanical systems to save energy. Government agencies have banded together to save money and energy by locating data centers in an offsite facility along with other agencies. One such facility is the Network Access Point of the Capital Region, located in Culpeper, Va., near Dulles Airport. It provides services for the Department of Veterans Affairs, the GSA and up to 75 other agencies that are not public. The data center provides the infrastructure and services for secure storage of the data, saving the government the time and expense of building and maintaining its own data centers. Ben Stewart, senior vice president of building engineering with Verizon Terremark, which owns the center, also says the center saves money by being energy-efficient. The center uses water to cool the facility, a climate-appropriate method in Culpeper, Va., where temperatures are high most of the year. Some centers in other climates, such as the Facebook Data Center in Prineville, Ore., use cool outside air, but that was not appropriate for Culpeper. That facility also employs an energy-efficiency technique called the "law of affinity," which says if you slow down motors by 20 percent, you cut the energy use by 50 percent. Rather than turn off some of the motors to save energy, "it's more efficient to run them all but at a slower speed," said Stewart. Editor's note: This article is reposted in its original form from AOL Energy. Author credit goes to Elaine S. Povich.